Every family is different and it is not uncommon for those charged with looking after children or dependent adults to be someone other than that individual’s birth parents. 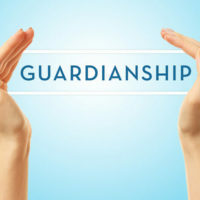 In many cases, these individuals are known as guardians, although the definition of what qualifies as a guardian depends in large part on the status of the person being looked after. For example, there are two main types of guardianship roles in Florida, namely guardianship over minor children and guardianship over incapacitated adults. For a further explanation of what these roles entail, please contact a dedicated Fort Lauderdale guardianship attorney who can assist you. Caring for the ward and his or her property. In fulfilling these roles, guardians can be either individuals or institutions, such as nonprofit organizations or bank trusts. When it comes to minors, guardians are individuals who are given parent-like responsibilities over certain children. For example, guardians are assigned most often in cases where a child’s parents pass away, or are deemed to be unable to perform the roles of a parent. In these situations, the state will appoint a guardian to care for or provide support for the child until he or she comes of age. Guardians can also be granted authority to oversee a child’s property if that minor was awarded damages in a lawsuit, or was given an inheritance worth over $15,000. As long as the child has the mental and physical capabilities to take over the responsibilities of managing the funds, he or she will be given financial control of the trust or assets at the age of 18 years old. Although states are often charged with choosing a guardian for a minor, it is possible for parents to preemptively choose these individuals. For instance, many parents choose to name a guardian in their wills, so they can rest assured that in the event of their untimely deaths, their children will be provided for, usually by a close relative or trusted friend. Surviving parents also have the option of appointing a guardian if they wish to relinquish parental rights. Guardians named in such a way are the default choice of Florida judges, but only if the individuals chosen qualify for guardianship and are able to carry out the responsibilities of caring for a child. Guardians can also be assigned for individuals who are technically over the age of 18 years old, but who are incapacitated in some way. To qualify as incapacitated, a person must be found to lack the mental or physical capabilities necessary to manage their property, safety, and personal health. In most cases, adults are deemed incapacitated after being diagnosed with dementia or after becoming comatose. Courts are only willing to appoint guardians for adults after a team of physicians and experts have assessed an individual’s mental and physical health. If questions remain as to a person’s ability to care for him or herself, courts often choose to grant a durable power of attorney, assign a healthcare surrogate, or establish a trust for the individual in question in lieu of appointing a guardian. 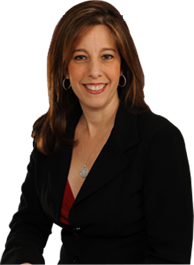 To speak with experienced guardianship lawyer Sandra Bonfiglio, P.A. about your own guardianship petition, please call us at 954-945-7591 today.